This graphic design is a sample custom wedding website template. Notice the montage (blending) of wedding flowers, a wedding cake, a bride, and wedding rings. 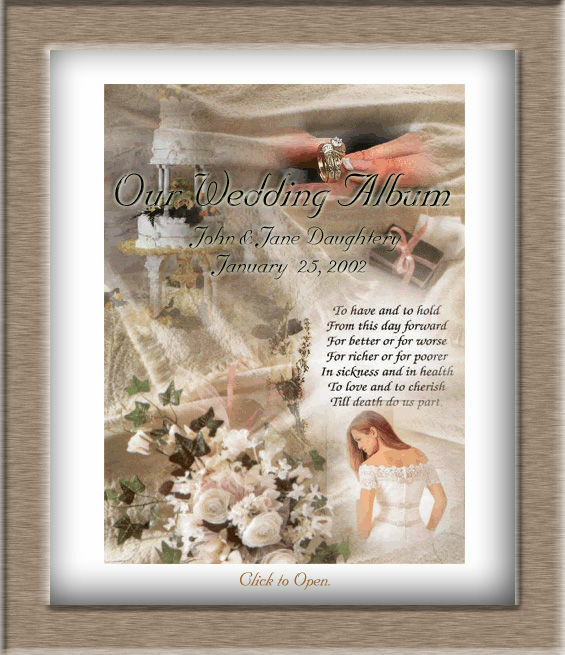 Hoover Web Design can create this same type of custom web template with your images for your weddindg website design. Contact us for more information and to inqure about wedding website design. © 2000-2008 Hoover Web Design. All Rights Reserved.